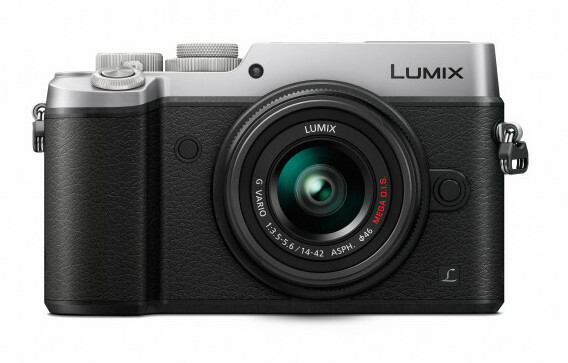 Say ‘hello’ to the Lumix GX8 – Panasonic GX7 successor has new 20MP sensor! 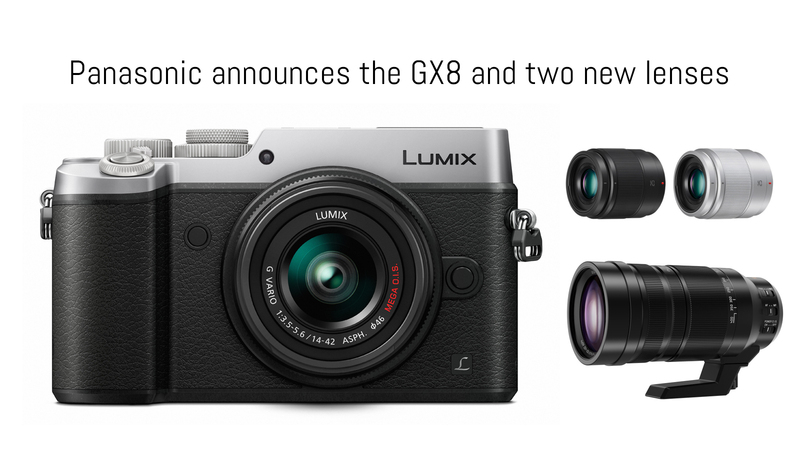 You are here: Home / Mirrorless News / Say ‘hello’ to the Lumix GX8 – Panasonic GX7 successor has new 20MP sensor! Today saw the arrival of the successor to the now two-year-old GX7, the Panasonic Lumix GX8. With so many Lumix cameras having appeared over the past year, you would be right to wonder what new and exciting features the GX8 could bring to the system. Well, as it turns out, there’s quite a lot to be said about this new addition to the Lumix line-up! The Panasonic GX8, with its new 20MP sensor, is currently the Micro Four Thirds camera with the highest native resolution. 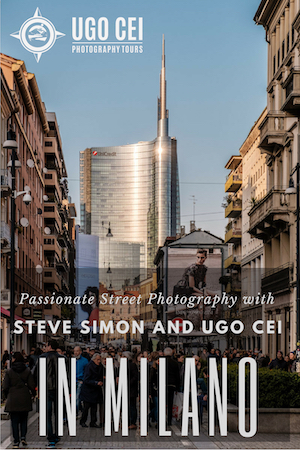 (The Olympus OM-D E-M5 II has a 40MP High Res Shot mode but it combines eight shots into one.) This is a significant step forward for a system whose name has become synonymous with 16MP. It has an updated chassis which is both larger than its predecessor and more rugged thanks to its weatherproof build and chunkier grip. Though we haven’t seen it in person, other reviewers such as Gordon Laing suggest that it is about the same size as an Olympus OM-D E-M1. It features twin dials on top, 13 function buttons (five virtual and eight physical), and an exposure dial wrapped around the mode dial. In the place of the tilting 16:9 LCD screen, we now have a fully-articulating 4:3 OLED touchscreen, which will have video shooters jumping for joy, and an updated version of the tilting viewfinder first seen on the GX7, with a 4:3 OLED panel, 2.36 million dots and 0.77x magnification. Like the GH4 and the recently-released G7, it employs Panasonic’s new Depth-from-Defocus autofocus system, which is currently one of the fastest and most reliable on the market. It has 8 fps burst shooting, 6 fps burst shooting with C-AF, and both a mechanical and silent shutter which go as high as 1/8000 and 1/16000 respectively. Another upgrade from the GX7 is the new dual image stabilisation system that allows the camera to stabilise images on four axes instead of just two. It combines the in-body stabilisation of the camera with the existing lens-based OIS of certain Lumix lenses, though you’ll have to update them with a firmware update first for it to work. With lenses that aren’t stabilised, such as those from the M.Zuiko line-up, the GX8 will activate IBIS on its own. As for video, the GX8 is on par with other offerings from Panasonic. 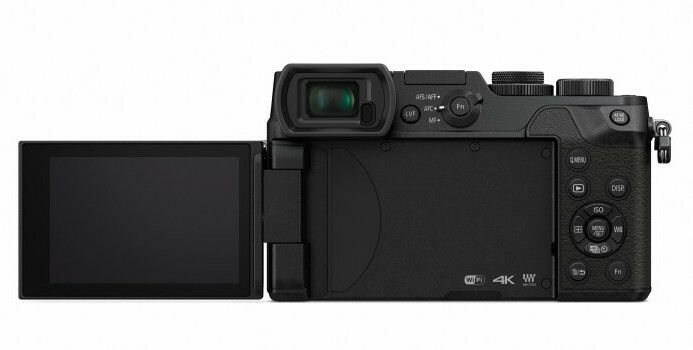 It has the G7’s 4K video / 4K photo modes (albeit without an explicit place on the mode dial). It can record 4K video (QFHD) up to 30fps and 100mbps and Full HD can be recorded up to 60fps. There aren’t any advanced slow motion capabilities like on the GH4 but you get some of the same options as the flagship model such as the Cine Like profiles. Unfortunately, its in-body stabilisation does not extend to video recording. For this, you will have to continue to rely on the internal stabilisation of Lumix lenses. Along with the GX8, the development of two new lenses for the system was announced: the Lumix 25mm f/1.7 and Lumix 100-400mm f4-6.3. 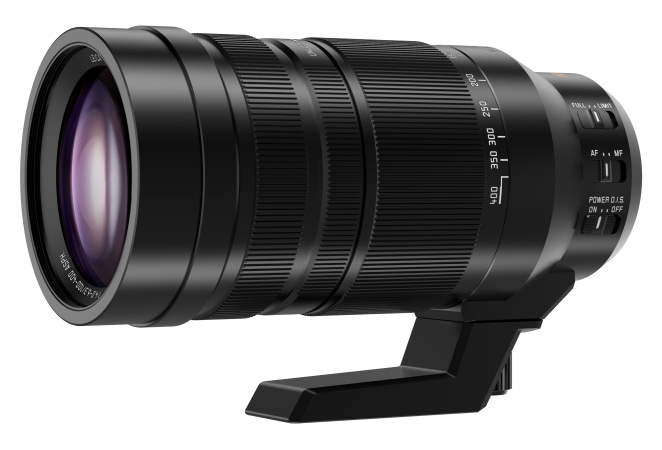 The former is a slower alternative to the 25mm f/1.4 designed by Leica, while the latter will offer the longest focal length for Micro Four Thirds. Even more exciting is the announcement that Panasonic is working on a Lytro-esque solution to choosing your focus point! 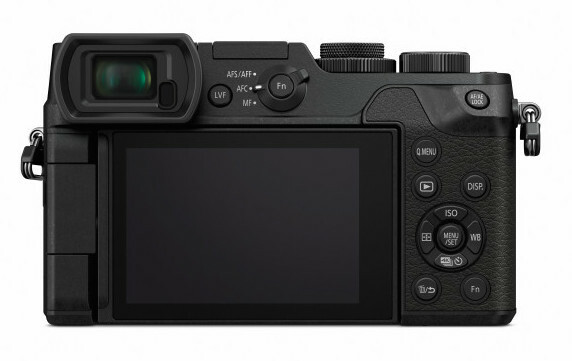 It will use a combination of the Depth-from-Defocus autofocus system, 4K burst mode and its fast sensor readout (240fps) to create images that can be “post focussed.” The technology will become available via a firmware update for the GX8 and FZ300 (a new bridge camera), as well as future models. 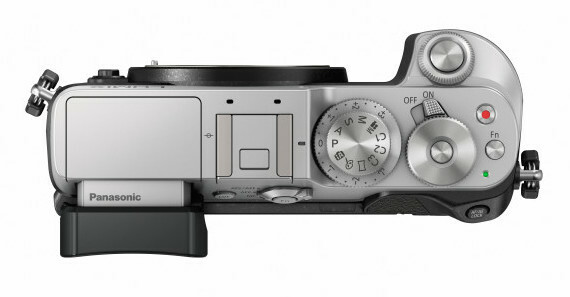 The Panasonic Lumix GX8 will be available for purchase in mid-August and will have a heftier price tag than its predecessor at over $1000 for the body alone. 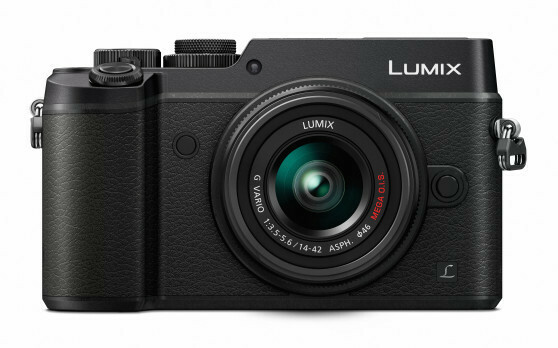 Though the price may be off-putting to some, it is a reflection of how Panasonic wants to market this camera and the audience for which it is intended. Want to try out the Lumix GX8 for yourself? Then why not pay a visit to Jessops this weekend. 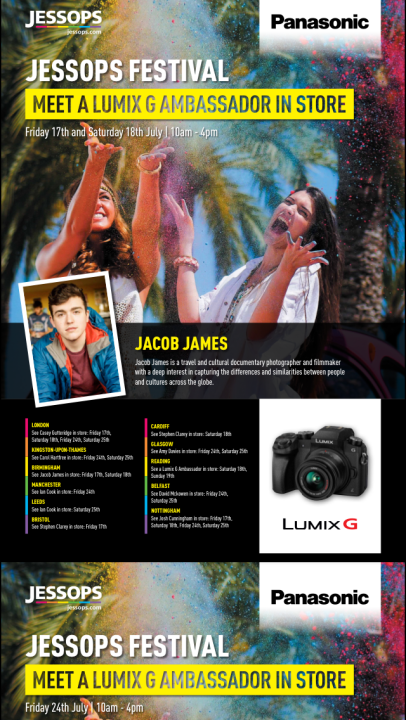 At select stores across the UK, Lumix Luminaries will be there to show you the camera and take you through its new functions! Thanks to Mark Baber for the information!